This Cavapoo nicknamed Ginger sold and went to a new family. 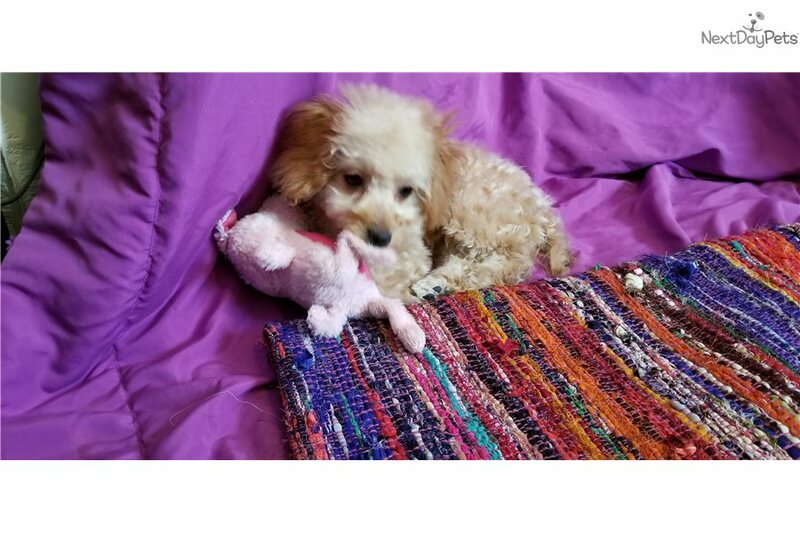 Sweet and adorable cavalier King Charles and poodle mix puppy, a.k.a. Cavapoo! Ginger is 16 weeks old and ready to go to her new home, shehas been home raised and is fully potty trained both outdoors and with potty pads. She is very well socialized and loves to play with other pets. She has had all of her shots (three rounds of distemper/adenovirus/parvo and her rabies) and all of her deworming up to date, she comes with a written health guarantee, and a training tips packet. Ginger will only be about 10lbs full grown and is no shedding and hypoallergenic. Call 347-855-3150 to make an appointment to come see her.